Considering a track record of dramatizing the lives of characters as diverse as drug addicts in Trainspotting, a survivor of a zombie-like apocalypse in 28 Days Later, astronauts on a suicide mission in Sunshine, and an enigmatic Indian teen in Slumdog Millionaire – one thing director Danny Boyle isn’t likely to do? The same thing twice. Boyle’s new film Trance is a boundlessly entertaining neo-noir thrill ride that is truly the summation of the director’s entire career. 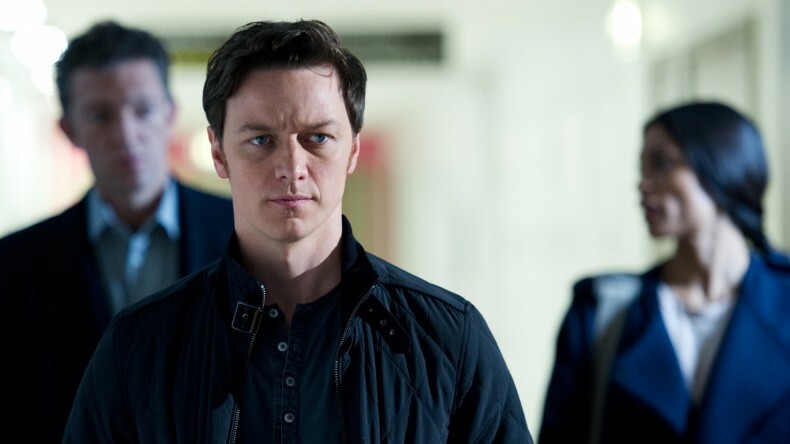 The film stars James McAvoy as Simon – a first-rate art auctioneer with a gambling addiction. The opening sequence has Simon delivering a stylishly presented monologue recounting the duties of the auctioneer in the event of a robbery – fans of Trainspotting will gleefully recall Renton’s “Choose Life” speech (and will later be even more excited to see an iconic set-up from that 1996 film revisited more directly). Shortly after this stunning opening, a robbery – of course – takes place, lead by criminal thug Franck (Vincent Cassel). The score is Francisco Goya’s 1798 painting Witches in the Air, and the robbery is as exhilarating as any great heist sequence. Witnessing a preconceived plan unfold (almost) perfectly in front of you will always be a thrilling cinematic device. By the time the robbery is over, the first turn of the film comes with the revelation that Simon – art protector – is really the inside man in this operation. Trouble is, he decides to rip off Franck and take the painting for himself, but after suffering a blow to the head he forgets where he stashed the damn thing. Franck tries in vain to torture the location of the painting out of Simon, but Simon’s amnesia is genuine and no amount of pain can bring back his memory. Franck consults a doctor and resorts to forcing Simon to visit Elizabeth (Rosario Dawson), a therapist, to undergo hypnosis. By diving into his subconscious and damaged memories, Elizabeth hopes to help reveal the location of the painting. This sets up director Danny Boyle and returning collaborators cinematographer Anthony Dod Mantle and production designer Mark Tildesley to craft limitless dream-world imagery as Simon is dragged into his own mind through the power of hypnotism.